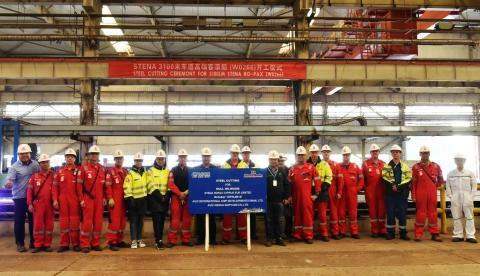 FERRY Company Stena Line has reached an important milestone in its major new fleet investment programme with the steel cutting of a third E-Flexer RoPax ship to be deployed on its Irish Sea routes. 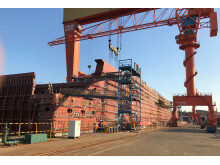 In addition, Stena Line has also ordered a further twoE-Flexer RoPax vessels with a larger design, to be deployed within Stena Line’s network in 2022. 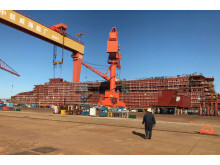 These larger ships will be 240 meters long with a total freight capacity of 3,600 lane meters, and passenger capacity of 1,200. 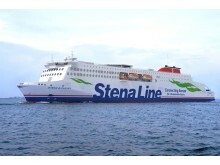 For more information please visit www.stenaline.com. MEDIA ENQUIRIES: For further information, please contact Michael Rafferty (michael@duffyrafferty.com) or Lawrence Duffy (lawrence@duffyrafferty.com) of Duffy Rafferty Communications on +44 (0) 28 9073 0880.